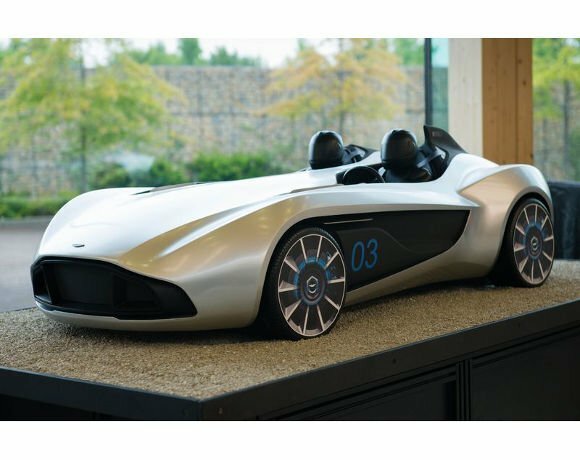 In celebration of its centenary this year, Aston Martin has created a fully working concept car, called the CC100. It was designed in five months and was taken to the Nürburgring in Germany in May for testing. The CC100 has a top speed of 180 mph and can accelerates from 0-62 mph in under 4.0 seconds. This photograph is a quarter scale model in Aston Martin's design studio.